It looks like we won't have to wait long for more news about Travis Touchdown. The new content stars schoolgirl samurai Shinobu. Dan Smith appears in Suda51's newest game. 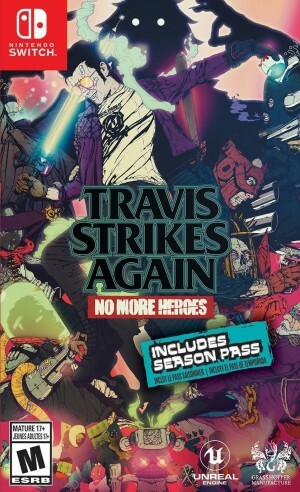 Does Travis Strikes Again Tease A New No More Heroes Game? Travis' new adventure might suggest there is still more to his story. The head of Grasshopper spoke a little about his work. The season pass has been detailed and includes new characters. You can get a signature edition that truly means it. Get an extended look at gameplay for the upcoming Switch exclusive from Suda51. We went hands-on with the newest levels for the indie semi-sequel to No More Heroes. There is a hope for a more traditional game in the series later. The latest No More Heroes release has a newly announced release date in January.